Sometimes you're looking for a healthy meal that doesn't taste healthy at all. And then sometimes you're craving a healthy meal that tastes as healthy as it is, maybe to remind your tastebuds that cookies for dinner isn't acceptable, or at least to help justify those cookies you plan to eat after dinner. 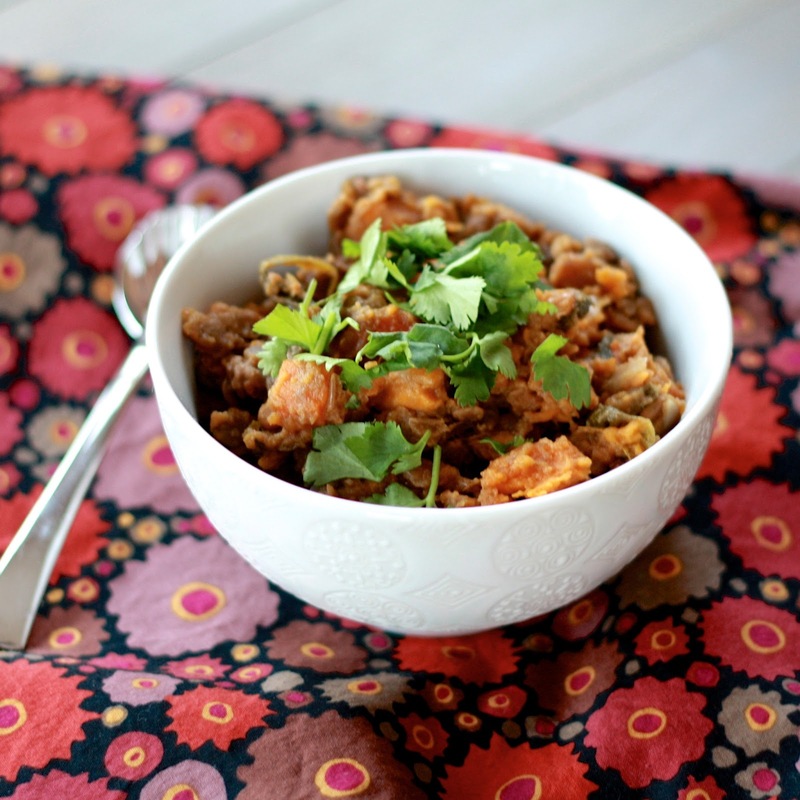 This slow cooker stew is healthy, and tastes healthy. Don't get me wrong, it's not in a bad way at all. In fact, I felt so good eating this I didn't mind eating it for dinner two days in a row, and then lunch on the third day! Lentils are never particularly pretty, especially when cooked until soft in your slow cooker. 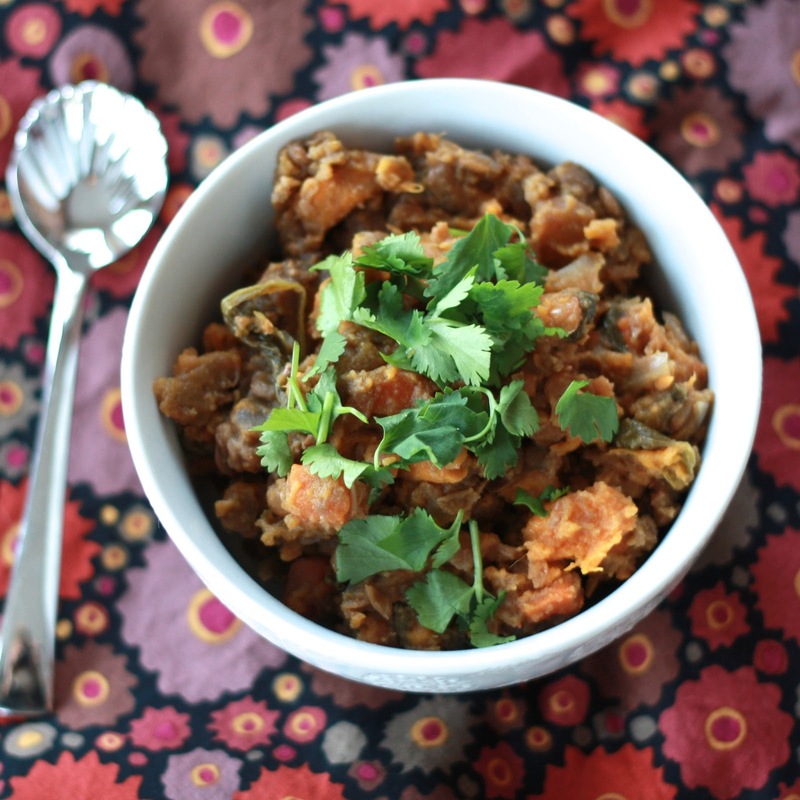 But throw some cilantro on top of your bowl of stew and dig in--it's packed full of vitamins and minerals from the vegetables and protein, fiber, and iron from the lentils! 1. Combine the broth through the cayenne pepper in the bowl of a slow cooker. Mix to combine. Cover and cook on low for 6-8 hours, until lentils are tender. 2. Thirty minutes before serving, stir in spinach, cilantro, and salt.